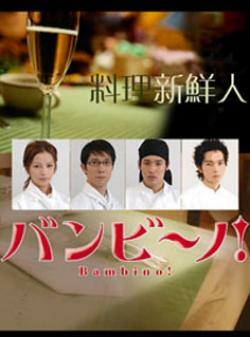 In this drama, the actor fell in love with Italian cuisine.He went to Tokyo to fulfill his dream by having the attitude of passion in cooking. However,he cannot integrate into this fast-paced Baccanale kitchen although he is quite well known in his little place before. He had once felt very tiny in this group.But, he wasn't bow out of these contempt and disagree. He stood up there once he fell and stuck at it. By his several experiences, he learned how to grow and gradually mature. I am admire him for his perseverance in cooking which i should be required.I think that the small flower will be able to open more robust and brilliant with the hit from wind and rain.Therefore, i am standing here to share this Japanese TV drama to you all as it is not just a drama about Italian cuisine learning but it also a drama which can stimulate young people to work hard for their dream.Let we have a look at it oh!